FOOD SAFETY: PESTICIDES SPOIL SNACKS. After the 2 -minutes fiasco, domestic snack maker faces “refusal” of its fried namkeen and candies in the US. The US Food and Drug Administration has refused 90 batches of the company's products in the past five months, since January. Of the total 171 batches of snacks imported that the USFDA refused, 90 were from a particular brand, making India the largest contributor to refused snacks imported into the US. Apart from fried snacks, batches of its candies are also under the USFDA lens. When tests were done, sulphites were found, which the company did not disclose on the wrapper. “It appears that the food is fabricated from two or more ingredients and the label does not list the common or usual name of each ingredient,” US FDA said. US FDA spokesperson Jennifer Corbett Dooren said that “FDA issues a notice of action to firms” once a refusal happens. As per the notice the firm is entitled for an informal hearing to provide the testimony regarding the admissibility of the product. If it fails to prove evidence that the product meets compliance, it will have to either export the product out of the US, or destroy it within 90 days. But the company continues to say that it maintains the standards prescribed by USFDA. 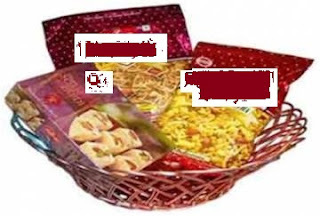 The company is a major Indian sweets and snacks manufacturer based in Nagpur, Maharashtra, India. The company has manufacturing plants in Nagpur, New Delhi, Kolkata, Bikaner. It has its own retail chain stores and a range of restaurants in Nagpur and Delhi. In contemporary times, it's products are exported to several countries worldwide, including Sri Lanka, United Kingdom, United States, Canada, United Arab Emirates, Australia, New Zealand, Japan, Thailand and others. THIS IS DIFFERENT: DETERGENT IN DAIRY MILK!